100 percent natural and non - toxic mosquito repellents bands. Every bands has a special compartment with citronella oil and protect children during outdoor activities. These bands have been tested in external laboratory and are certified safe for children. Each pack comes with a two pack and a kid can wear a bands on a wrist and ankle. In case menace of the mosquito is very high both the bands can be used one on the angle and other on the wrist. Mosquito banditz are medically coated with citronella oil and are 100 percent natural, non toxic and chemical free. Citronella oil is known to have aroma benefit which possesses activating and warming qualities both physically and mentally. Explore the entire range of Mosquito Repellent available on Nykaa. 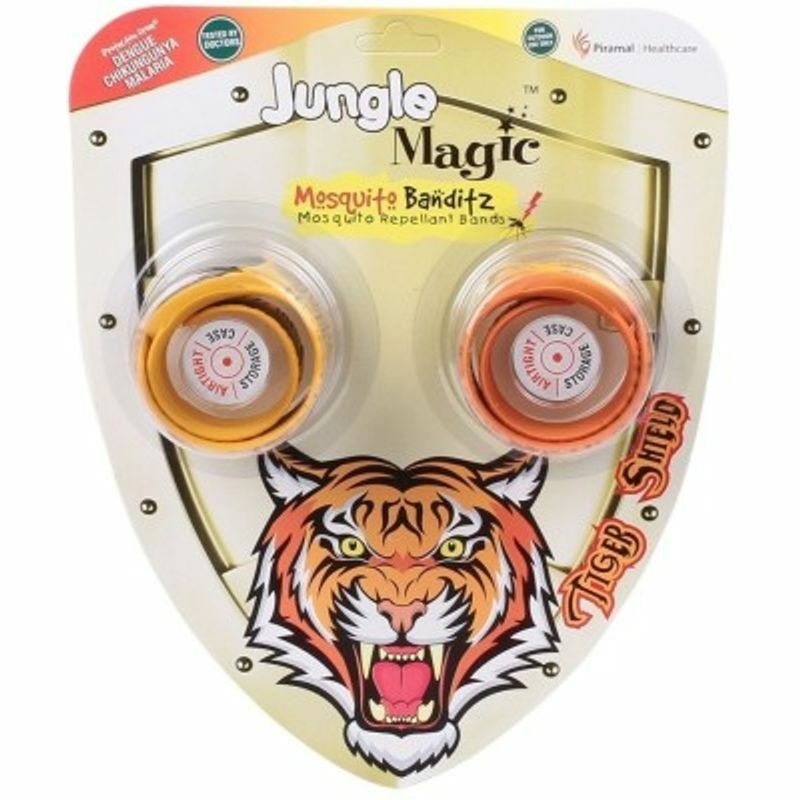 Shop more Jungle Magic products here.You can browse through the complete world of Jungle Magic Mosquito Repellent .